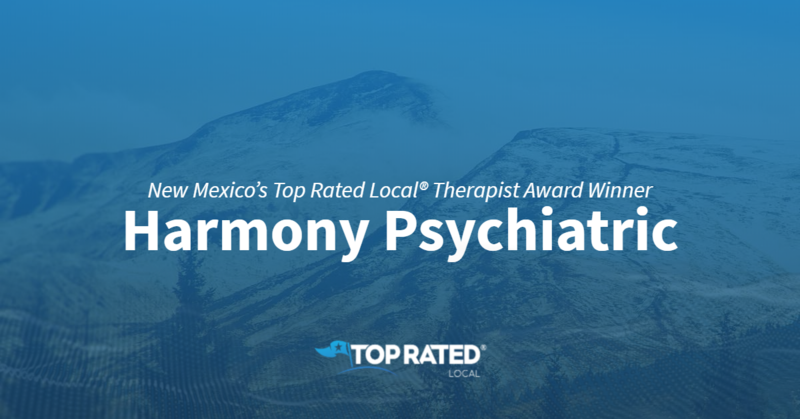 Top Rated Local® is pleased to announce that Clarity Counseling Center is a 2019 award winner for therapists and psychiatrists in North Carolina! If you’re looking for counseling in Wilmington, look no further than Clarity Counseling Center. Clarity Counseling Center has received dozens of reviews on three verified sites with an average rating of 5.00 stars, earning them a stellar Rating Score™ of 96.00 and a 2019 Top Rated Local award for ranking among the top 10 therapists and psychiatrists in all of North Carolina! “Clarity Counseling has been a game changer for me and my mental health journey! The entire Clarity team is, hands-down, the best in the city! Plus, they are the only office I’ve been to where positive changes and growth are made so beautifully with their clients’ needs and preferences in mind. By always striving to make positive growth in the office, they inherently inspire their clients and staff to do the same. Thank you, Clarity Counseling Center.” – S.W. We wanted to learn a little more about this award-winning business and its outstanding online reputation, so we took a few minutes to talk with Jessica, the Office Manager at Clarity Counseling Center. Jessica went on to emphasize the fresh, modern and comfortable setting they’ve created. Building Success by Asking for Reviews. The team at Clarity Counseling Center is so confident in the service they provide that they aren’t afraid to encourage their clients to rate them online. Outside of building a powerful online reputation, Clarity Counseling Center has gotten their name out there through SEO (search engine optimization), which is handled by the owner herself, by networking with other businesses in their area and by maintaining healthy relationships with other professionals. 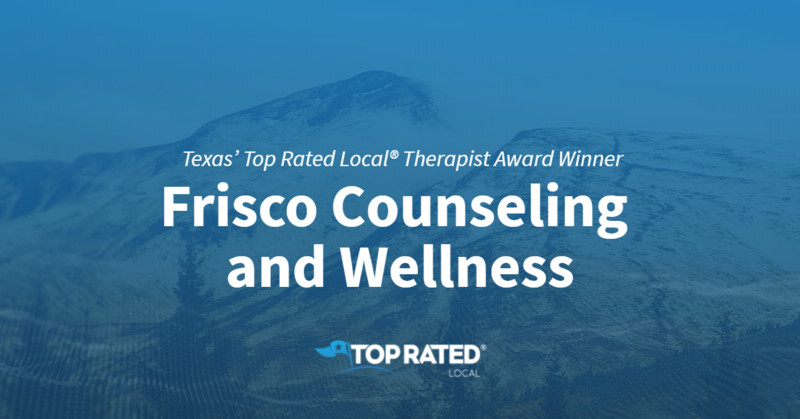 Congratulations to the team at Clarity Counseling Center for being a 2019 Top Rated Local award winner, and thank you so much, Jessica, for taking the time to speak with us! 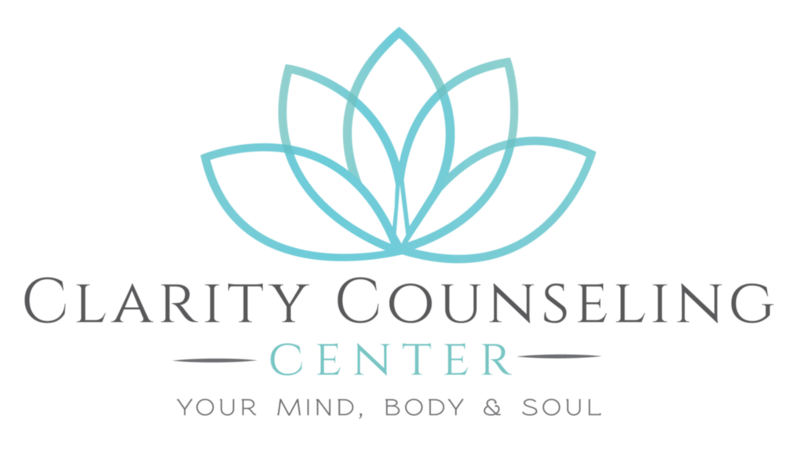 We highly recommend Clarity Counseling Center in Wilmington. Visit their website today! 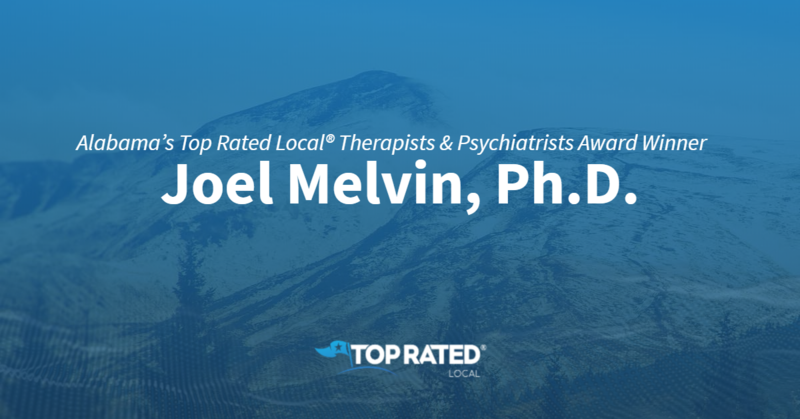 Top Rated Local® is pleased to announce that Ronald D. Groat is a 2019 award winner for therapists and psychiatrists in Minnesota! If you’re looking for a therapist in Minnetonka, look no further than Ronald D. Groat. Ronald D. Groat has received almost 200 reviews on three verified sites with an average rating of 4.41 stars, earning this business a fantastic Rating Score™ of 85.07 and a 2019 Top Rated Local award for ranking among the top 10 therapists and psychiatrists in all of Minnesota! “I have known Dr. Groat for over 20 some years. What a guy! He saved my life and always treated me like he’d want to be treated. I don’t know if or have ever heard of a doctor who is like him! He even laughs at my jokes! His patients are extremely lucky to have him for their doctor, as I am also! He needs to be ‘cloned’ so there will be other doctors with the same professional qualities! 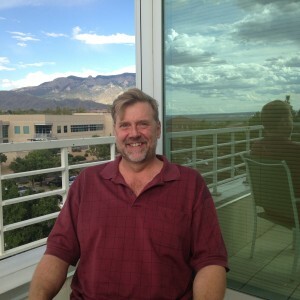 Thanks, Dr. Ron, for always being there for me!” – Mary T.
Dr. Ronald Groat himself generously gave us a few minutes of his time to tell us a little more about his award-winning business and its stand-out online reputation. The first question we had was what it is that makes Dr. Groat’s services different from his competition’s in Minnesota. He points to his 40 years in business and told us that he makes it a point to be available to communicate with his clients and that he is very easy to talk to through different avenues. Dr. Groat went on to tell us about his background working for a healthcare company for mental health practitioners and that he feels exceptionally privileged to be allowed into the secret lives of so many people. 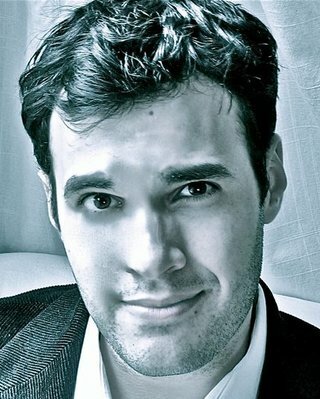 Dr. Groat credits his business’ strong online reputation to his commitment to always treating everyone with respect and dignity. Outside of building a powerful online reputation, that commitment to respect and dignity has also led to word of mouth for the business, which according to Dr. Groat, is their main source of growth. 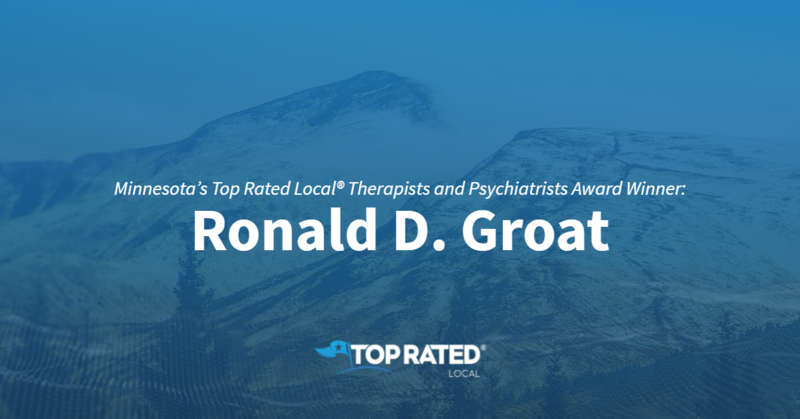 Congratulations to Ronald D. Groat for being a 2019 Top Rated Local award winner, and thank you so much, Dr. Groat, for taking the time to speak with us! We highly recommend Ronald D. Groat in Minnetonka. Top Rated Local® is pleased to announce that Walk-In Counseling Center is a 2019 award winner for therapists and psychiatrists in Minnesota! For next-level counseling services in Minneapolis, there’s no better option than Walk-In Counseling Center. Walk-In Counseling Center has received dozens of reviews on multiple verified sites with an average rating of 4.69 stars, earning them a stellar Rating Score™ of 90.88 and a 2019 Top Rated Local award for being ranked the number one therapist and psychiatrist in all of Minnesota! “I am so grateful for this wonderful community resource. My son was in desperate need to speak with a professional, and they couldn’t have made it any simpler. God bless the volunteers that staff this life-saving organization.” – Mark B. In order to learn a little more about this one-of-a-kind business and its impressive online reputation, we took a few minutes to talk with Mary Weeks, the Executive Director of Walk-In Counseling Center. Mary went on to tell us that each and every client they serve touches at least 10 others, including family and friends. Mary attributes Walk-In Counseling Center’s strong online reputation to the fact that they’ve been around since 1969 and to their commitment to total anonymity. Outside of building a powerful online reputation, Walk-In Counseling Center has grown mostly through word of mouth — which is a result of the quality service they provide — as well as through Facebook. Congratulations to the team at Walk-In Counseling Center for being a 2019 Top Rated Local award winner, and thank you so much, Mary, for taking the time to speak with us! We highly recommend Walk-In Counseling Center in Minneapolis. Visit their website today! Top Rated Local® is pleased to announce that KidsTLC is a 2019 award winner for therapists & psychiatrists in Kansas! If you live in Olathe, Kansas and have a child that is faced with mental and behavioral health challenges, we highly recommend KidsTLC to support in transforming those sometimes painful realities. KidsTLC has received over 100 reviews on three verified sites with an average rating of 4.47 stars, earning them an incredible Rating Score™ of 85.69 and a 2019 Top Rated Local award for ranking among the top 10 therapists & psychiatrists in all of Kansas! “I was a client a couple of years ago and it has helped [me] a whole lot. I have benefited so much. I use a lot of the coping skills I learned there and I have great grades in school because of the techniques they taught me. I would like to say thank you for the help. It means a lot.” -Layla H.
We wanted to learn a little more about this award-winning business and its impressive online reputation, so we took a few minutes to talk with Tracy Mattis, the Director of Marketing at KidsTLC. Outside of building a powerful online reputation, KidsTLC has gotten their name out there through being dedicated to the continued education for all our patients and staff. Tracy told us that they want to utilize as many programs as possible to encourage a well-rounded method of therapy capabilities. She also shared that they have hopes of expanding as they have wait lists for most of their programs. They hope to do this to move forward in their goal of accommodating more and more children in the years to come. Congratulations to the team at KidsTLC for being a 2019 Top Rated Local award winner, and thank you so much, Tracy, for taking the time to speak with us! Visit their website here! 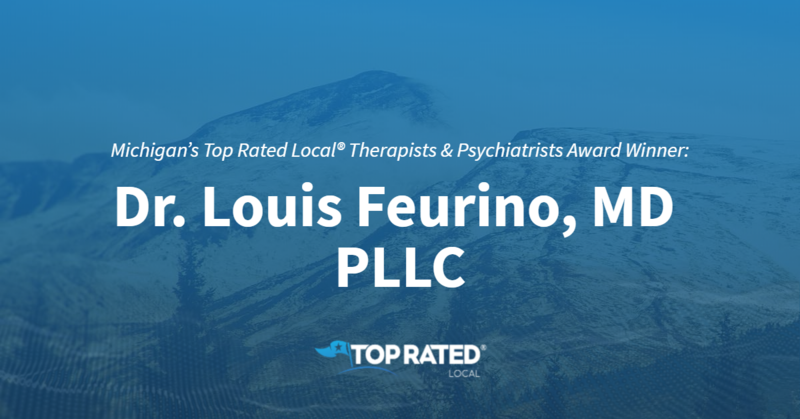 Top Rated Local® is pleased to announce that Dr. Louis Feurino, MD PLLC is a 2019 award winner for therapists and psychiatrists in Michigan! If you’re looking for a therapist in Ann Arbor, look no further than Dr. Louis Feurino, MD PLLC. Dr. Louis Feurino, MD PLLC has received dozens of reviews on three verified sites with an average rating of 4.68 stars, earning them a phenomenal Rating Score™ of 92.76 and a 2019 Top Rated Local award for ranking among the top 10 therapists and psychiatrists in Michigan! Dr. Louis Feurino generously gave us a few minutes of his time to talk with us about his award-winning business and the outstanding online reputation he’s managed to build. Congratulations to Dr. Louis Feurino, MD PLLC for being a 2019 Top Rated Local award winner, and thank you so much, Dr. Fuerino, for taking the time to speak with us! If you’re looking for the right therapist to work with in Ann Arbor, we highly recommend Dr. Louis Feurino, MD PLLC. Top Rated Local® is pleased to announce that Allcare Therapy Services is a 2019 award winner! “Allcare is the BEST! My son has had issues with motor coordination, handwriting and more — but no one ever felt it was enough to hinder him. The people at Allcare took the time to get to know my son, assess his needs, and work with him to achieve goals and make day-to-day life easier for him. We drove out of our way for the best care! I cannot say enough about the therapists and office staff that we encountered at Allcare. All of them were SO professional and caring. It’s nothing short of a great experience!” -Beth G.
Nancy Streit, the owner of Allcare Therapy Services, took a moment to speak with us about her business’ online success. 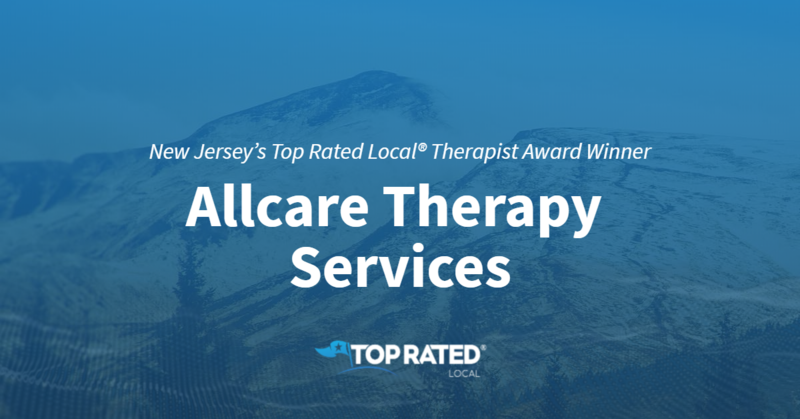 Congratulations to the team at Allcare Therapy Services for being a 2019 Top Rated Local award winner, and thank you so much, Nancy, for taking the time to speak with us! Top Rated Local® is pleased to announce that Family Guidance Center is a 2019 award winner! “The staff at Family Guidance Center is very helpful in ensuring clients receive prompt, professional, respectful care. Our doctor works with our family as a unit and individually to optimize the potential for improvement in the family’s dynamics, interactions with each other, and emotional outlook. We never feel rushed, and our doctor’s inferences of our issues are spot-on, and the feedback is easily understandable. One of our family members summed it up this way — ‘[The doctor] has ever said anything I don’t understand”. We all feel better and are more hopeful after our time with the professionals at the Family Guidance Center.” -Lisa O. “Top level customer service! 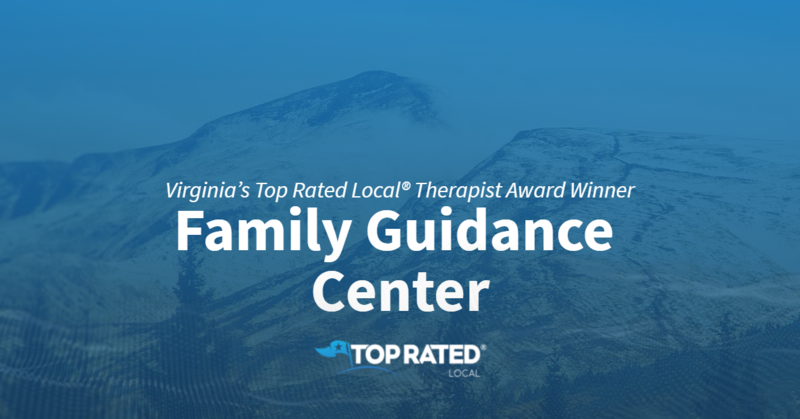 They take you seriously and listen to your specific situation and consideration, can’t recommend this place enough!” -Max N.
Reviews like these have given Family Guidance Centers a 91.92 Rating Score™, a 4.79 average star rating, and a spot among the top five therapists in the entire state of Virginia for 2019 — making them a Top Rated Local award winner ! We spoke with Emily McGee, the practice manager at Family Guidance Centers, about the business’ tremendous online reputation. It goes without saying that those in the mental health field are making a massive difference in people’s lives. We wanted to know what exactly it is that drives Emily, as well as the rest of the Family Guidance Centers team, to dedicate their lives to serving others. “We take pride in being there for our patients every step of the way, from service to billing. We’ve been providing families and individuals with compassionate mental health services for more than 35 years,” she said. Thank you for speaking with us, Emily! Congratulations to the team at Family Guidance Centers for being a 2019 Top Rated Local award winner!